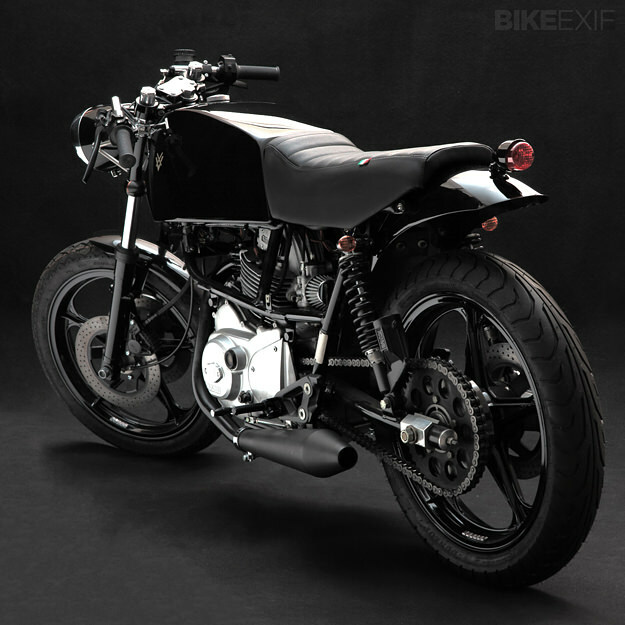 There’s always a certain style, a certain luxe look to Stefano Venier’s builds. 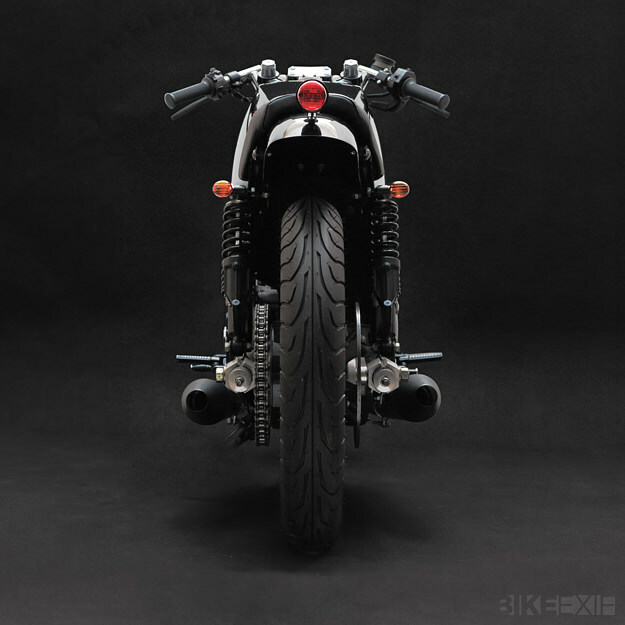 He’s best known for his immaculately finished Moto Guzzis, but his latest machine is a less recognizable beast. 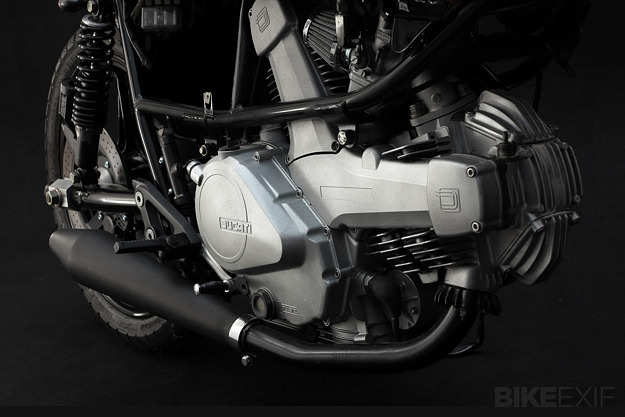 Although the engine is stamped with the Ducati logo, the bike is a mid-80s Cagiva Ala Azzurra 350. Cagiva was closely linked to Ducati, and later bought the Bologna firm before selling it in 1996 and morphing into MV Agusta. 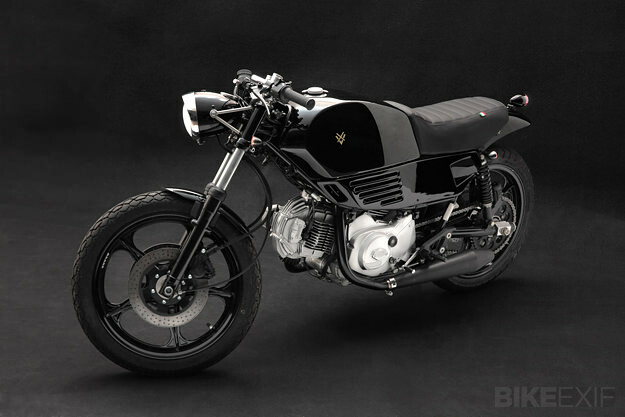 If the bodywork looks familiar, that’s because Stefano used the tank—with a custom aluminum gas cap—and side panels from a Ducati Pantah TL. 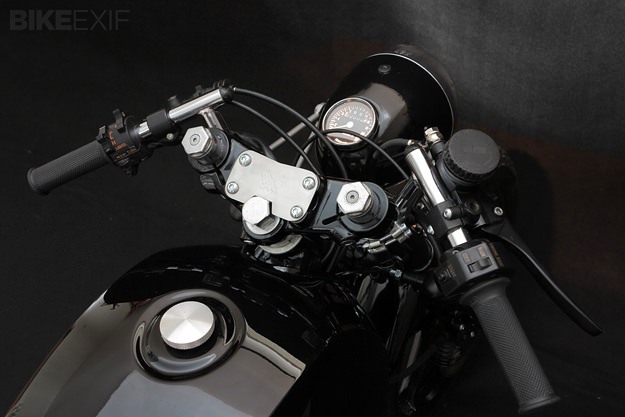 The front light is from a vintage Moto Guzzi, a type that Ducati also used, but the fenders, seat and brackets are hand made. Stefano also modified the back of the frame to achieve the line he wanted. “I think this is my most elegant build, and elegance is what I was after,” he says. 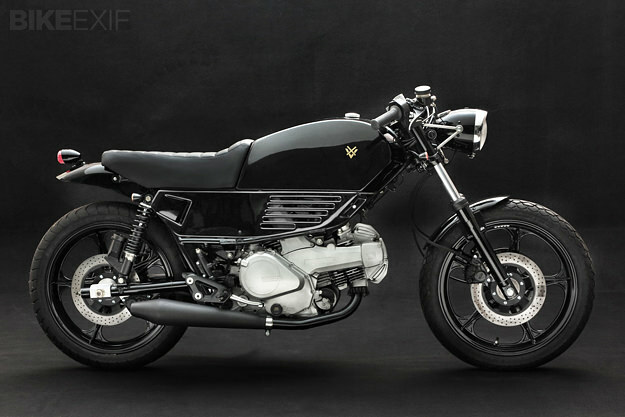 I’ll second that—there’s a beguiling, unorthodox charm about this machine that matches the slightly strange history of Cagiva. Check the Venier Customs website for more of Stefano’s work, and follow his news via the Venier Facebook page.